People work for various multinational companies and consider it as a secure job. They do not consider starting their own company due to lack of financial support or fear of not being able to succeed in setting up a start-up. Such people look for support and guidance to show them a safe push! GENIUS NY is the platform for such people! GENIUS NY is a program which is funded by NYS Empire State Development (ESD). This program is managed byThe Tech Garden and CenterState CEO in Syracuse, NY. 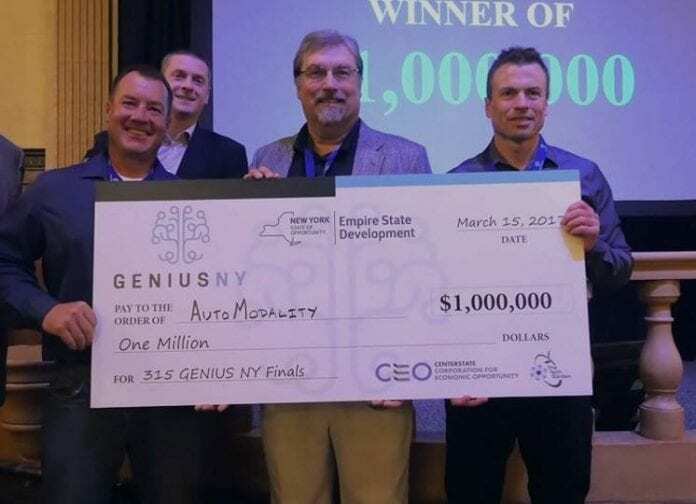 GENIUS NY is an acronym for ‘Growing Entrepreneurs In Upstate New York.’ This program has completed 2 years and is accepting applications for contestants in the 3rd year. The last date to apply for this program has been extended to 14th October, 2019. To apply for this program, all you/your team needs is a unique idea! If you think you have that idea, you must apply for this program immediately. Note: Applications are restricted to business categories which are related to the regional investment in unmanned systems only! Sectors included are hardware, software, data analytics, and IoT. How is GENIUS NY unique? The program is funded at a whopping amount of $5 million out of which, $3 million is invested in the start-ups of the winners. It is a year-long program which consists of 2 phases. The first phase consists of a $10,000 stipend and is dedicated to pitching the ideas which lasts for 3 months. The second phase, which lasts for 9 months consists of Investor Demo Day’s with the investors from NYS Empire State Development (ESD) and the judges from The Tech Garden and CenterState CEO in Syracuse, NY. How much cash prize do the winners win? Cash prize is awarded to top 5 winners of the GENIUS NY program. The 1st place winner is awarded an account of $1 million as an investment in the start-up and the other teams get $500,000 each. This is a considerable amount as an investment in a start-up. Indeed! If you/your team have an exceptional start-up idea and if you are prepared to give it a chance, you must apply for this program. The application form is available on GENIUS NY’s official website. The deadline for application of GENIUS NY is 14th of October, 2019. The team which secured the 1st position is the team Fotokite. This team has held this position for 2 consecutive years now! It is a Swiss based start-up and its idea is to develop a tethered drone system which allows a UAV to fully function autonomously for 24 hours by attaching it to a ground-based system through a kite-like component. Thus, this team has named itself Fotokite, based on the kite-like idea! Team Quantify, which is a Michigan based start-up, secured the 2nd position and won $600,000for its development on reducing the cost of parking and traffic analyses by using unmanned aerial systems with machine vision and analytics. TruWeather, a Virginia based start-up grabbed the 3rd place and $400,000for its attempt to refine weather intelligence and make it as accurate as possible through various drone technologies. According to us, this program can prove to be the best decision of your life since you can win thousands or a million dollars for your start-up idea. Also, the support and guidance provided in this 12-month program gives you enough courage and experience to pitch your idea to the entire world!